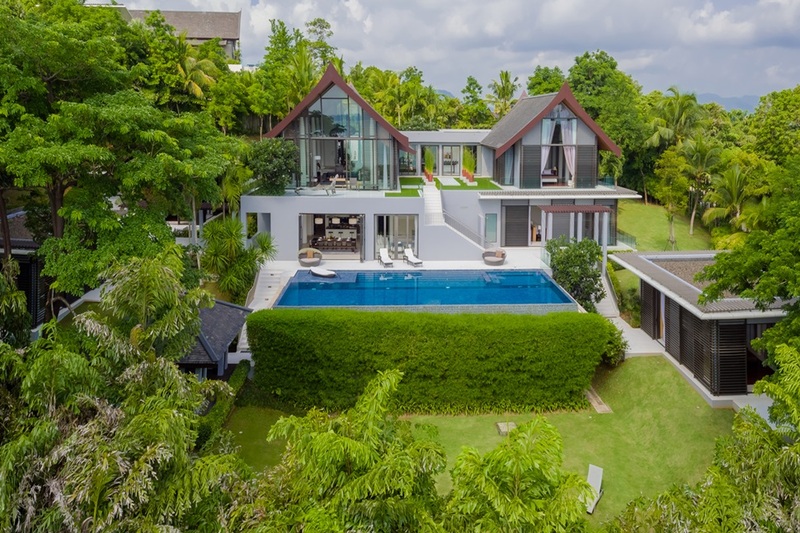 This elegant 3.5 bedroom home is located on a peaceful estate right next to Phuket’s pristine Bang Tao beach –– just north of the Laguna complex, close the acclaimed Banyan Tree Resort and a 5 Iron from the first class Laguna Phuket Golf Club. 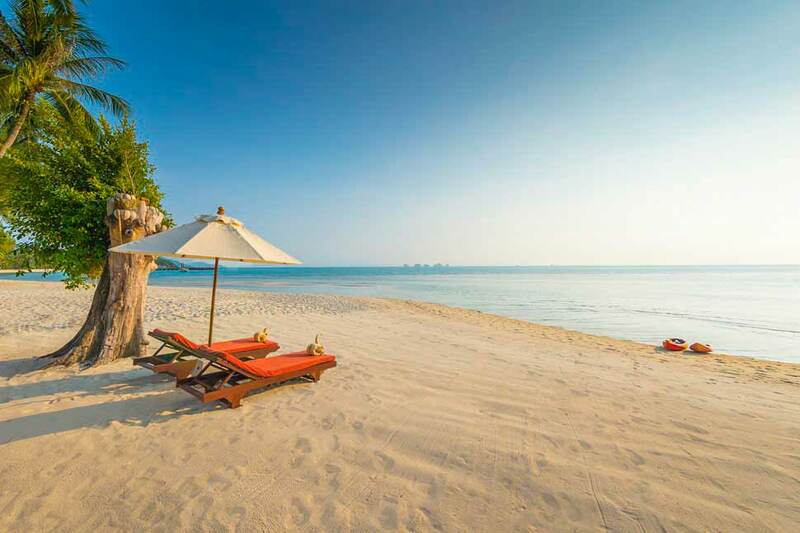 Villa Tassannee is a modern, spacious home that offers an ideal beach side escape for a family or group of friends. 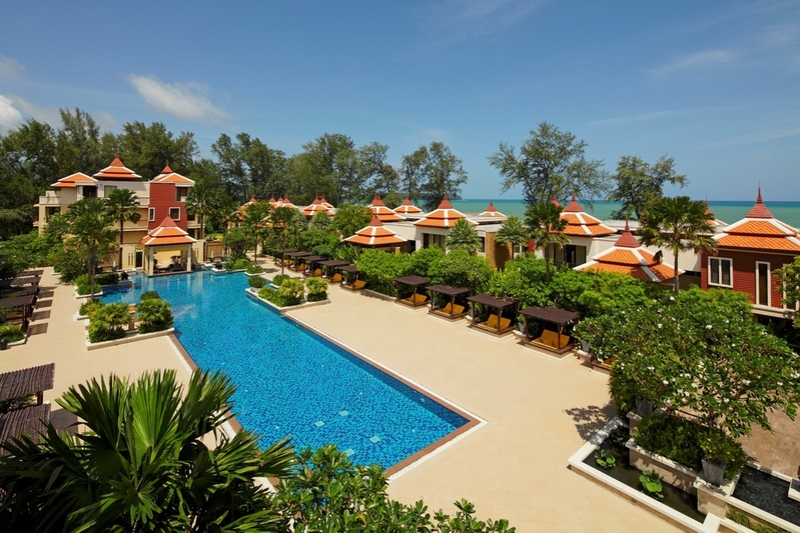 Entering the landscaped gardens, the centre piece of the property is a 15-metre swimming pool and relaxation sala that combine to provide a serene environment in which to relax, catch the sun and later enjoy a sunset cocktail. 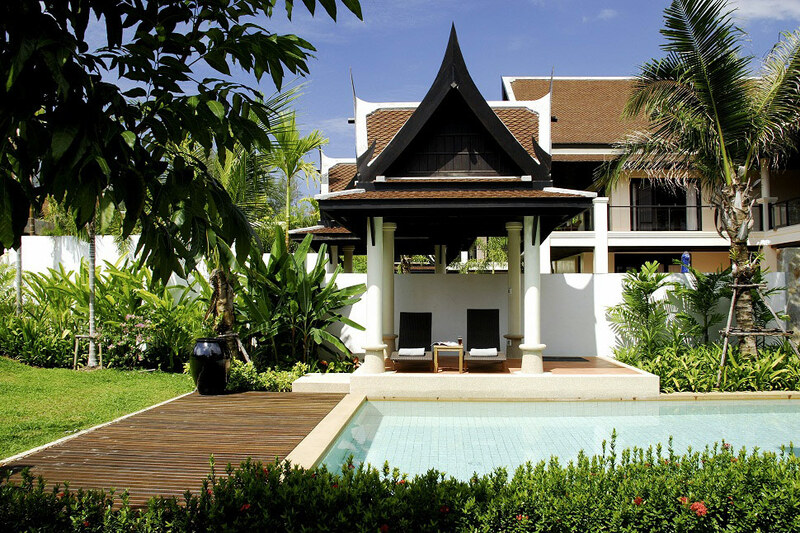 The entire lower floor is designed to blend indoor and outdoor living. 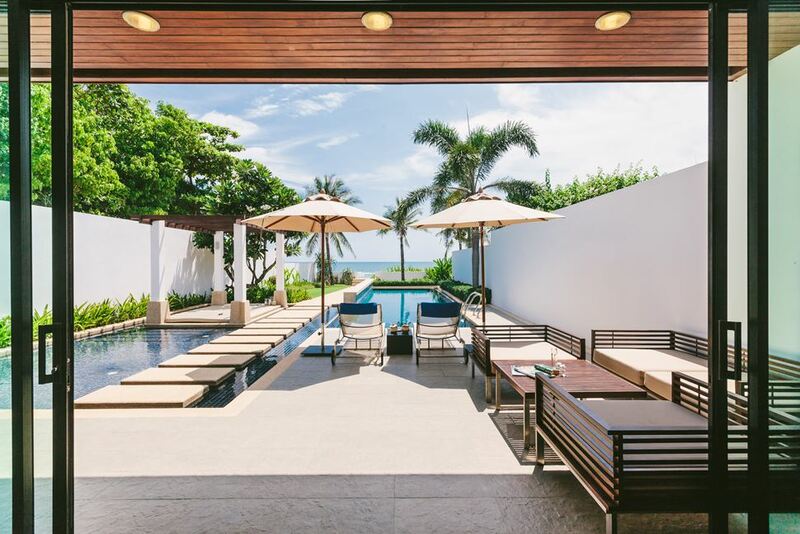 Large sliding doors opening out onto the pool decks to create an expansive living area that allows for an abundance of natural light, whilst cool tropical breezes flow from the sea through the house. The decks lead through an impressive wooden door into a modern, stylish kitchen, dining room and family room. The kitchen is built to western standards and fully equipped to cater for anything from a small meal to a decent sized dinner party. Meanwhile, the spacious dining room features a large glass dining table with designer chairs and settings for up to 10 people. Adjacent to the dining room and pool decks is a guest bedroom with en-suite bathroom, currently utilized as a home office with printer and fax facilities onsite. Moving upstairs via the solid wooden staircase, the upper level of the house features 3 large bedrooms all with en-suite facilities. The master bedroom has high windows to catch the gentle summer breezes and features a special spa/bathroom with walk-in wardrobes, a large bathtub and rainfall shower. Finally, the VIP guest room has large verandahs on three sides. 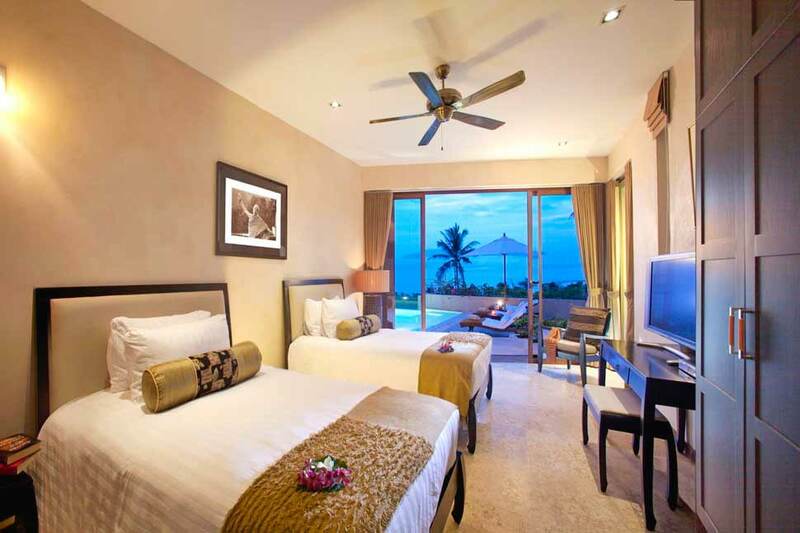 This spacious, pleasant room also faces the sea and comes with a king sized bed and flat screen LCD TV. 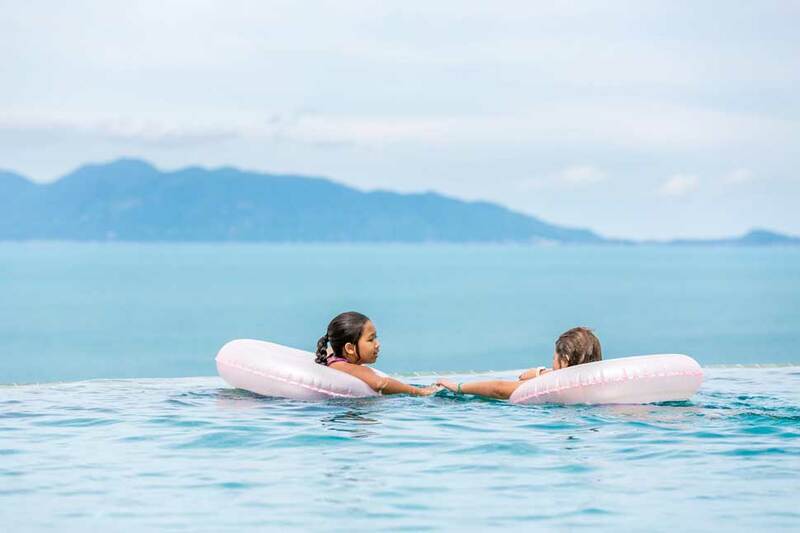 The location of Maan Tawan Villas is one of the best the island has to offer with an array of activities, restaurants, bars close by and sitting just a few steps from a beautiful 7km long stretch of white sand that is one of the best kept and under utilized beaches on Phuket’s west coast. 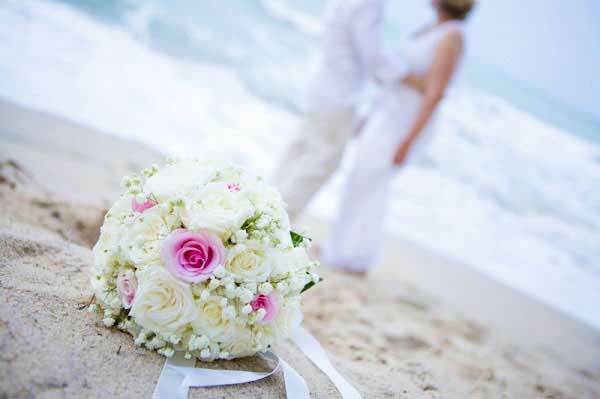 The villa staff will ensure the villa is kept clean and tidy while the villa manager is available to cater to all your specific needs and help organise guests stay with activities, massage and spa treatment as well as dealing with any matter arising at the villa.